Disneyland, Anaheim, CA, USA. Disneyland officials posted this inside the boat you ride into “A Small World.” It’s a good thing, because that song is catchy when you hear it played over and over and over; you may be tempted to do “The Hustle” or “The Macarena.” I’m wondering, however, if the passengers in this “don’t” sign are really trying to bust out and escape rather than bust a move. This entry was posted in Funny signs, Travel, Travel Humor and tagged Disneyland, funny stick figuresy, It's a Small World sign, no disco at Disneyland by stephglaser. Bookmark the permalink. 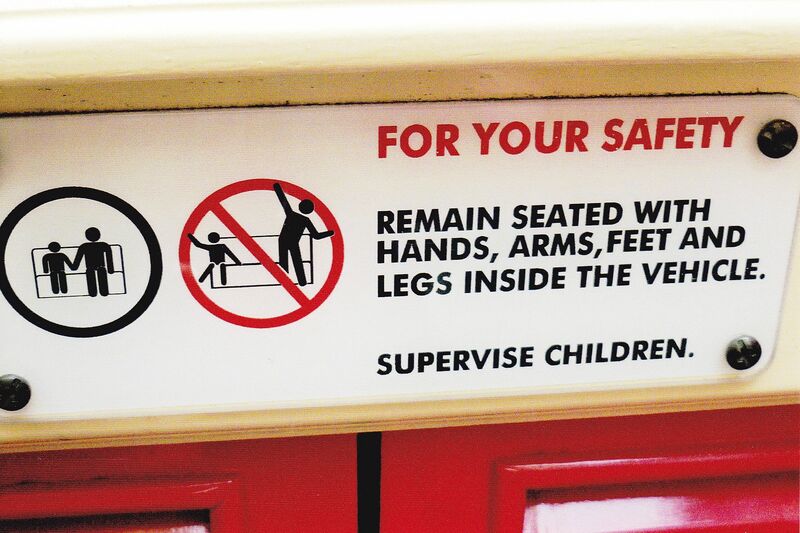 In some ways Disneyland is a funny place to have fun police signs – be enthusiastic, but not too enthusiastic! 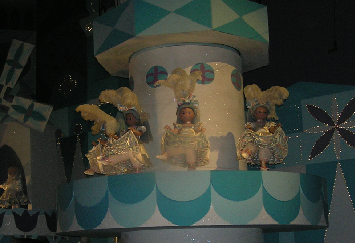 I know — I mean that song does get stuck in your head, but I can’t imagine jamming out to “It’s a Small World.” I guess, however, since the sign exists, someone had “boogie fever” at one point. Thanks, Hayley!